Eurodollar has formed a complete correction towards Friday’s descending movement. 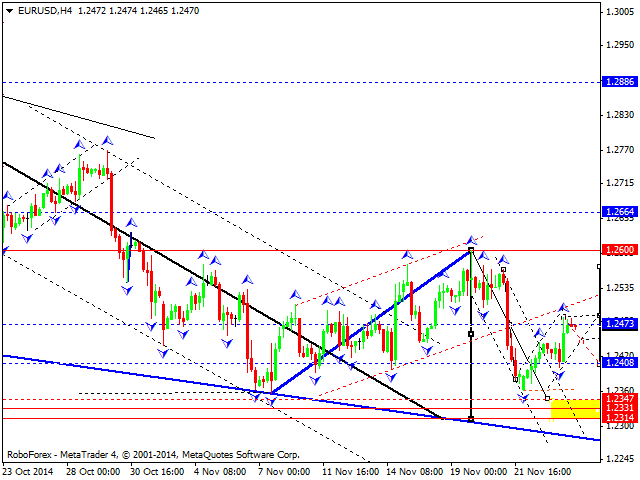 We think, today the price may continue falling; the first target is at level of 1.2400. Later, in our opinion, the market may start forming another consolidation range with a downside continuation pattern. The pair is expected to form a structure with the target at 1.2330. Pound has tested the upper border of its consolidation channel. 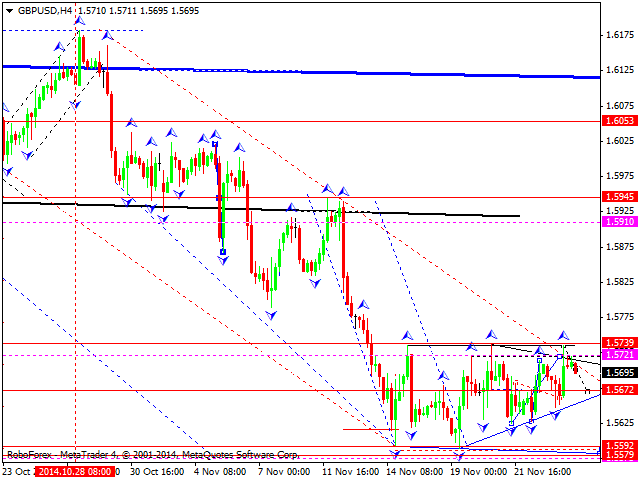 We think, today the price may fall towards level of 1.5670. After reaching the channel’s center, the pair may either grow to break the channel upwards and start forming an ascending wave or continue falling towards the channel’s lower border. 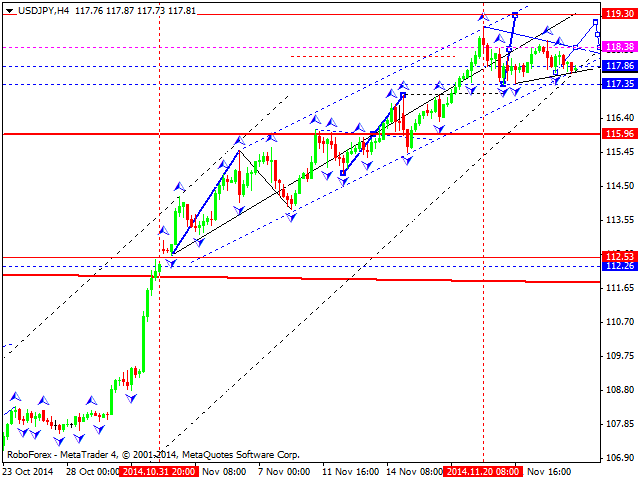 If the market choses to break the channel upwards, the target will be at level of 1.5900. Franc has formed a complete correction towards Friday’s ascending movement. We think, today the price may break the channel of this correction and start forming another ascending wave to reach a new high. The first target is at level of 0.9690. Yen is forming a consolidation triangle pattern at the top of its ascending wave. If the price breaks the pattern upwards, the market may reach level of 119.30; if downwards – continue this correction towards level of 116.80 and after form an ascending structure towards level of 119.30. 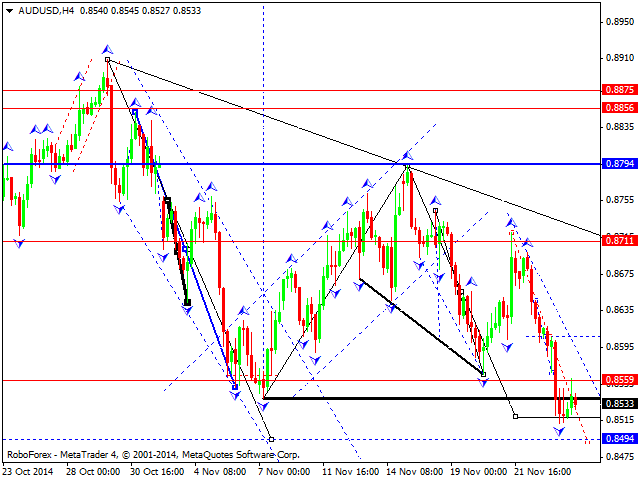 Australian Dollar has reached the target of another descending structure. 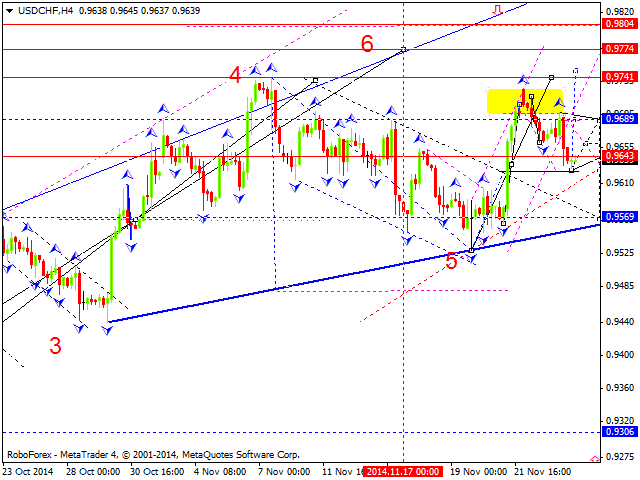 We think, today the price may return to level of 0.8656 and then fall to reach level of 0.8560. Thus, the market is expected to form another consolidation channel. Ruble has formed a correction towards Friday’s descending movement. 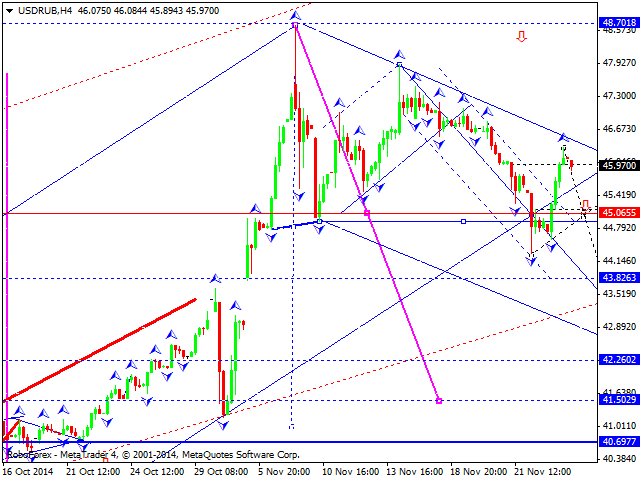 We think, today the price may continue forming a descending structure with the target at level of 45.00. Later, in our opinion, the market may form a wide consolidation channel near the above-mentioned level. After that, the pair may continue falling towards level of 42.26. 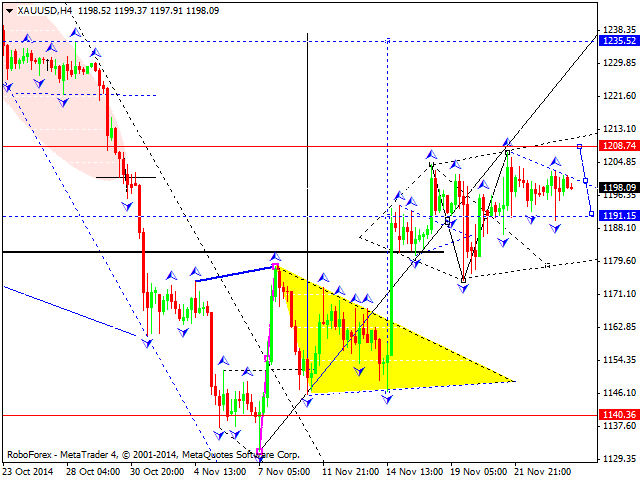 After rebounding from level of 1190.00, Gold is moving inside an ascending structure with the target at 1208.75. After reaching it, the price may start falling towards the center of this consolidation channel. Later, in our opinion, the market may grow to reach a local target at 1235.00.